If you enjoy playing survival shooters, it’s well worth trying out Creative Destruction for PC. As you’ll get to test your survival and shooting skills against up to 99 opponents, who are trying to be the last player standing. At the start of each game, you’ll get to choose which section of the map you’d like to parachute in. There are currently 13 different lands which you can land, each of which offers a different style of gameplay. The goal of Creative Destruction is to outwit and outlast your opponents to be the last player standing. 1. Choose the area which you choose to land on carefully. In some areas, there are plenty of hiding spots which you can use to shoot your enemies from. While in other areas you may be more likely to be forced out into the open, to shoot your opponents. So it’s well worth exploring a few different areas until you find a starting area which suits your preferred style of gameplay. Some of the areas which you may be keen to explore include Sunset Manor, Teddyland, Sky Eye and Ski Resort. All of which feature stunning graphics and are a lot of fun to explore. 2. Make sure that you stay within the ever-shrinking playing field. As your game clock ticks down, your playing field will begin to shrink. So it’s a wise idea to pay attention to your map, which will show you your position on the map as well as the playing field perimeter which you must stay within. You may find at the end of a round, that the playing field has shrunk significantly and that you’ll have to run to a fair way, in order to get back into the game, before the countdown timer runs out. 3. Quickly pick up any weapons which you’re lucky enough to spot. At the start of each game, you’ll only be armed with a single weapon, so it’s crucial to pick up any weapons which you come across. 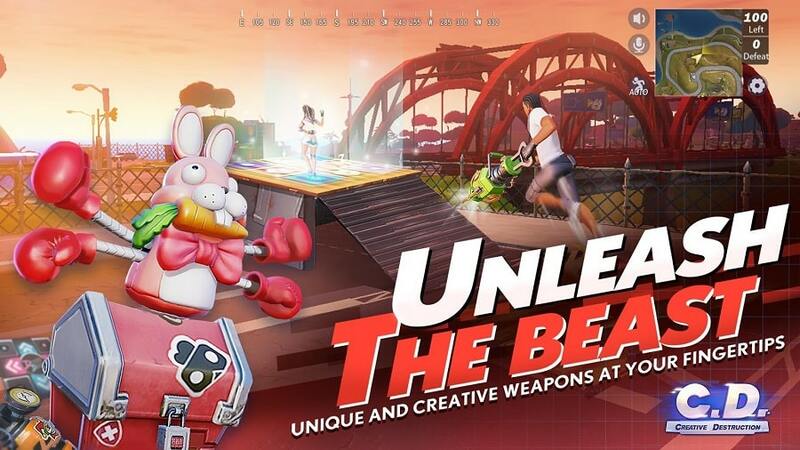 One of the reasons why Creative Destruction stands out against other multi-player survival games it that you can pick up a lot of weapons, while in other survival games players are limited to using guns, rockets, and grenades. 4. Avoid game generated hazards as well as gunfire. As an example, while you can be killed by a fellow player’s gunfire, you can also be taken out of the game by getting caught up in a snowstorm. 5. Decide whether you’re better off playing as a lone wolf or with a friend. 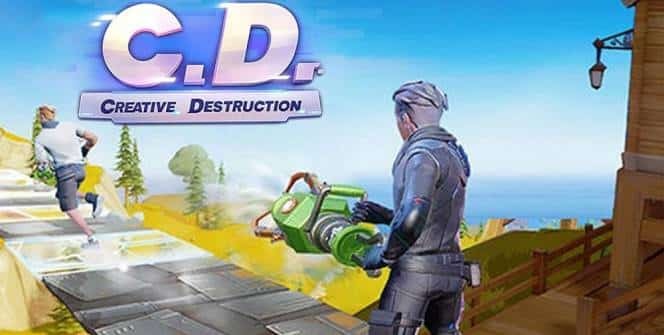 If you’re interested in playing Creative Destruction, you can choose to take on your enemies on your own or you can choose to play Creative Destruction as part of a team. So if you think you’ve got what it takes to be the last player standing after a massive shootout it’s well worth downloading Creative Destruction on your PC! Sometimes when playing Creative Destruction, bluestacks ask you fee to pay but gives you option to download some apps. Every time it asks you just select “Install apps” and continue using it free. I hope you enjoyed this article, please rate and share. 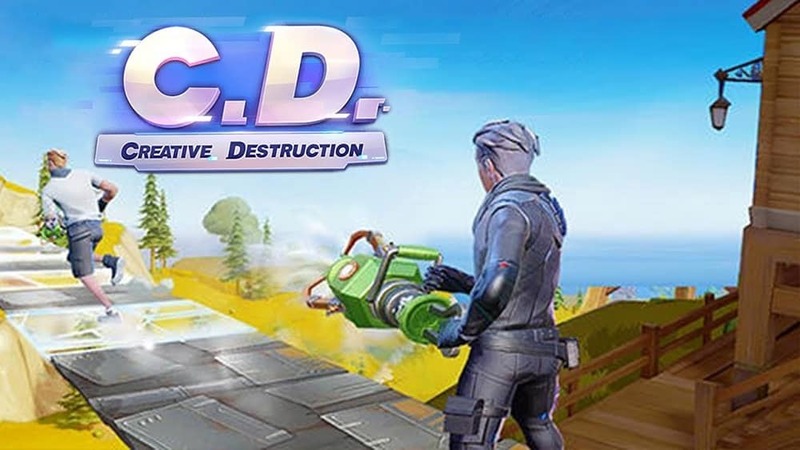 If you have problems running Creative Destruction on your desktop or any other issues, leave a comment below.